The Holyoke Public Schools is transforming the high school experience to ensure that every student has a high-quality educational option, with a focus on college and careers for all students. Holyoke High School has two campuses – Dean Campus, located at 1045 Main Street, and North Campus, located at 500 Beech Street. Both campuses serve students in grades 9-12 and students at both campuses have access to the full high school experience. HHS offers many academy offerings to our students. An academy is defined as a program of study comprised of a series of courses, work-based experiences such as job shadowing and internships with local companies and projects built around the academy’s theme. Each academy will also include regular curriculum courses — English language arts, math, science and social studies. The Career and Technical Education (CTE) programming is mostly located at the Dean Campus and it includes: Automotive Collision, Diesel Technology, Programming and Web Development, Cosmetology, Culinary Arts, Health Assisting, Machine Technology, Carpentry and Electrical. 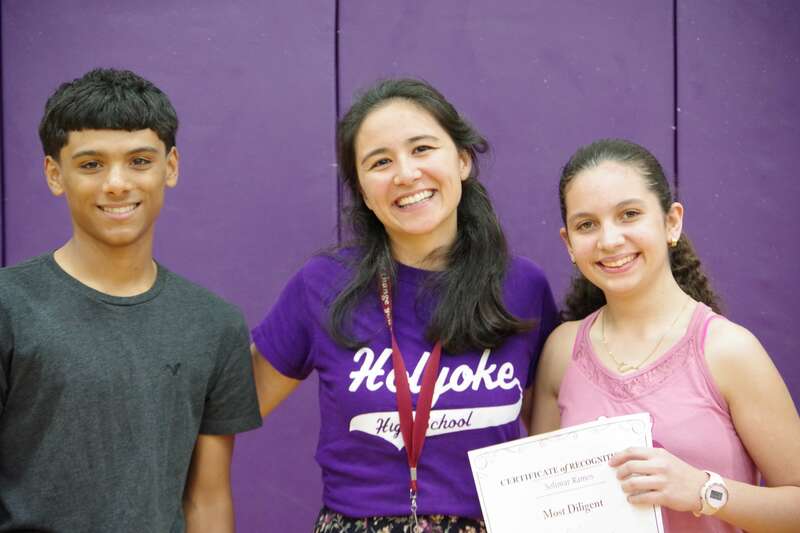 Tenth-grade students are the first class to participate in Holyoke’s redesigned high school experience featuring four theme-based linked-learning academies designed to prepare them to acquire 21st-century skills such as thinking, problem-solving, creativity and collaboration. Other academy offerings for high school students are the Freshman Academy (for ninth-grade students), Newcomer Program (for those new to the English language and the country), and Opportunity Academy (for students in need of an alternative pathway to graduation).